Metrics can help guide your team and help you measure your team’s progress towards its goals. Metrics, on the other hand can also be a pit of wasted effort, numbers recorded for the sake of numbers. Why do you need Metrics? When Metrics are used as guideposts, telling the team when it’s getting off track or providing feedback that it’s on the right track, they’re worth gathering. Is our number of unit tests going up every day? Why did code coverage take a dive from 75% to 65%? It might have been a good reason – maybe we got rid of unused code that was covered by tests. 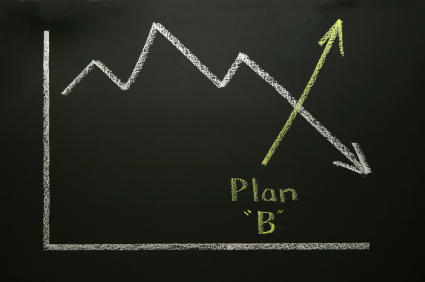 Metrics can alert us to problems, but in isolation they don’t usually provide value. To help estimate for future projects based on past experience. To monitor progress within a programme or project. To identify training needs of individuals or groups. To estimate cost to completion. To monitor progress of staff. Identify the reason first and then decide what metrics you need to collect. Lastly, decide how to collect this information. If your goals are measurable, the measurements you need to gather to track the metrics will be obvious. Tooling and code manipulation to collect metrics. Reporting of metrics to parties. Analysis of metrics – to understand the impact points. Your activity of capturing metrics should pass the test of economics, wherein the benefits derived are far greater than the cost expended. Metrics that involve the whole team are more likely to drive you towards success than are measures confined to isolated roles or groups. Metrics can also be used in a terrible way. One of these is to use them as a basis for an individual team member’s performance evaluation. One of my colleagues who works for a test consultancy in India was telling me about one of her previous work experiences where the company judged testers by the number of defects they found. How does this help them do their jobs better? Bug counting results in the generation of meaningless metrics. I’ve raised 40 bugs in a half day of testing once; the code was still working, it just needed lots of tidying up before being released. On a different project, I raised two bugs in a single day of testing, each one of which on its own would have been sufficient to halt testing and forced developers back to rework things. When Microsoft released Windows 2000, there were over 65,000 known issues (bugs), yet is was a very successful product. IBM released an ALGOL compiler in the 1960s with one bug: it wouldn’t load. In short, not all bugs are equal. McCabe’s cyclomatic complexity is a software quality metric that quantifies the complexity of a software program. Complexity is inferred by measuring the number of linearly independent paths through the program. The higher the number, the more complex the code. Measurement of McCabe’s cyclomatic complexity metric ensures that developers are sensitive to the fact that programs with high McCabe numbers are likely to be difficult to understand and therefore have a higher probability of containing defects. The cyclomatic complexity number also indicates the number of test cases that would have to be written to execute all paths in a program. Lots of metric combination can be found in this category. An important one for me is the number of defects found in production. This will tell you how your team did in the last release but it won’t tell you how good you are progressing in the current one. On the other hand it will give you an indication on what processes to change to reduce the number of defects. Estimated vs Actual time taken for tasks. Track the number of tests at each level. Unit, Functional, Story Level, GUI level, Performance etc. Although we get happy seeing the number of tests go up, but the numbers on their own are not enough. If you have a 1000 tests but they only give you 10% coverage, then this is not a good position to be in. Cem Kaner has provided a framework for understanding and rethinking software metrics. Read the following two short papers to know almost everything about software metrics. I was actively involved in recruitment of testers for Trainline.com in 2012 and came across an age old discussion once again which made me write about this topic. Should Testers know how to code? Adding to this, there was also a statement made by Adam Goucher at CAST2012.. In my opinion, it totally depends on the situation. For example, in companies like Microsoft and Google, virtually all testers must know some form of coding. There are still companies out there which only require manual testers. If coding know how was not a requirement, I would also prefer to hire a tester who has critical thinking, analytical, investigative skills, good communication, understanding of risk and knowledge of common areas where bugs tend to hide as compared to someone who can just write C#. Testing within a business involves at least two types of knowledge: knowledge about testing and knowledge about the type of application under test. Much of the PR about the need for “software development engineers in test” has come from software companies. For them, software is the subject matter. For them, expecting someone to understand code is like a bank expecting someone to understand financial statements. It is unfortunate that the software publishers and software service providers have been speaking with a louder megaphone than the other industries: the result has been that some non-software companies are changing recruiting standards to look for people with stronger software knowledge instead of stronger industry (e.g. banking) knowledge. Vacancies for “Developers in Test” or “QA Developers” are coming out more and more, especially in Agile environments. We need to remember, automation testing can never replace the need to do manual testing. There has to be a balance between the two. Skilled testers are adaptable people and should not be threatened by test automation. It’s a valuable skill to have and it’s not like learning how to code will make you forget manual testing. Secondly, the more the tester knows about coding, they’ll be able to do their jobs better, and the more career opportunities they will have (more on this later – I have some stats to prove this). Additionally, talking to developers in a language they can understand, writing clear bug reports which put your message across correctly and quickly has to be a good thing, right? As a recruiter, you also need to use a common sense approach. I have seen companies that seem to use a standard list of demands, that they once created, and keep on using because they have been told it is a good list by the consultant they hired to create it, or they see other companies ask for the same skills, so they assume they are vital. You should look at the job spec, the role of a tester in your organisation and your team structure. What does a tester’s role involve, instead of what others testers in your company do/can do. Sometime you may find that the ability to write code is desirable instead of a requirement. If it is a requirement, state the level of familiarity with coding that you require. This way you will avoid putting off good candidates who will just be overwhelmed by the long list of requirements. Here at the Trainline, I have amended our requirements in job specs to be inline with the role of a QA Developer. Learn enough in any language (look at your target market or see research below) so you can write some test automation helper code, create classes, make asserts etc. Learn enough of general programming concepts so that you can write code for typical easy programming exercises available on the internet. Once you have mastered this, drill deeper into object oriented design skills/concepts and create a mock test framework testing a website or an application. Also attend tester gatherings and talk to other testers/managers and see what skills they seek in a tester. Now, let’s have a look at testing job specs taken from 2012. This research has been done by a UK based recruitment company. Research also shows that salaries for testers with exceptional coding abilities have risen by £3500 per annum in the past 6 months. The research above suggests there are 21% more people being hired in the past 6 months alone with good to exceptional coding knowledge than without, however, there is clearly still a requirement for Manual testers. 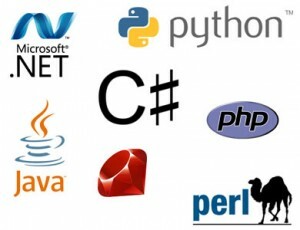 Java is a still the main scripting requirement but Ruby has become increasingly popular. The above results are for the UK. A similar study was done in the US not long ago and you can read the details about that here. Adam Goucher is probably right. But for now, manual testing and manual testers are here to stay. As more and more companies move towards the “Developer in Test” mentality, I see future testers taking up coding, especially if they want to work for the best companies and not to forget, these roles pay considerably more as compared to manual testing roles. // This method take in a name of a window as a parameter, and then switches to that window. If you do not know the name of the window, you can use a different approach. For example. and compare it with this.. The functionality is the same, but the way to present this is so much different. This is where page objects come into the fold and this blogpost is just about that. So what are page objects ? Page Object is a Design Pattern which has become popular in test automation for enhancing test maintenance and reducing code duplication. Page object is a language neutral pattern for representing a complete page or a part of a page in an objected oriented manner. We use them to model the application’s user interface. Page objects expose methods that reflect things that a user can see and do on a page. It also hides the details of telling the browser how to do those things. In short, page object encapsulates behaviour of a page. Your tests then use the methods of this page object class whenever they need to interact with that page of the UI. The beneﬁt is that if the UI changes for the page, the tests themselves don’t need to change, only the code within the page object needs to change. Subsequently all changes to support that new UI are located in one place. Consider the following example, which does not use page object design. There is no clear separation between test methods and the locators of the application (Ids or LinkText locators that I’ve used above). They are all in a single method. If the application changes its identifiers or layout, then the tests must change. 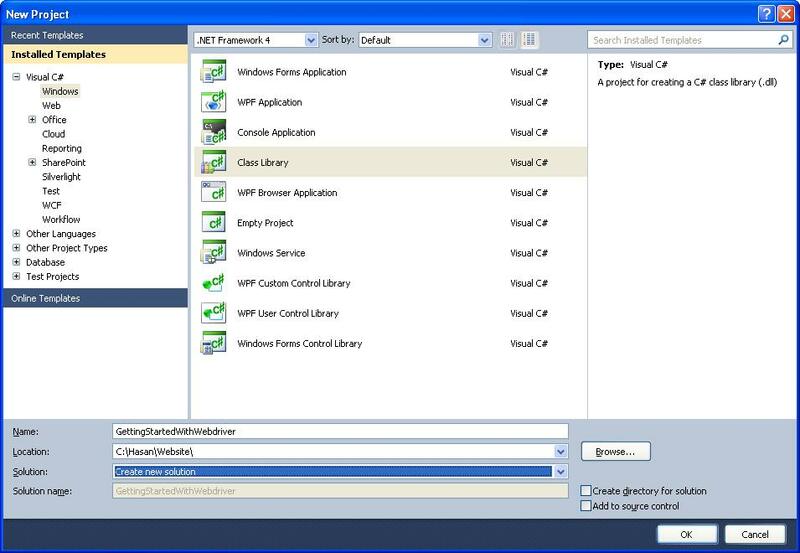 Imagine a scenario of multiple tests which require the use of this login functionality (There can be various scenarios to do with testing login functionality). The same login code will be repeated again and again in each test. Any change in UI will mean that all tests will have to be modified. The above code is not very readable, or maintainable, has duplication and is not reusable. (Exactly the issues addressed by Page Object Design). By applying the Page Object design technique, I can rewrite the above test in the following way. throw new InvalidOperationException("This is not the Login Page. Current page is: "
throw new InvalidOperationException("This is not the HomePage. Current page is: "
As you can see from above, this is much more clearer now. The comments in the tests are really not needed as they are just repeating what the code is doing (Something I mentioned in my blogpost “Comments & Bad Comments” earlier, but I have added these here just so you could understand whats going on. There is alot of flexibility when it comes to designing page objects. I could also use techniques like inheritance, function overloading or any other Object Oriented programming concept, and instead of having the browser name and LinkedIn URL set as hardcoded values, I could have picked them up from a config file etc. Lets take another example of the eBay homepage. You can automate it using 1 Page Object if you wish, but ideally you can have 5-6 Page objects for the home page only. Do not create page objects at once, do only what you need at this given time. You can spend weeks in trying to create page objects for your whole application and this would be a waste of time. Your page objects will grow when new requirements come in which inturn will require new test scripts. Asserts do not belong in page objects, they belong in test scripts. Page objects only interact with the page, they do not make the decision of whether something is passing or failing. An exception to the above rule is that there should be one single verification within the page object and that is to verify that the page and any important elements within the page were loaded correctly. This verification should be done while instantiating the page object. In my example above, both the LogInPage and HomePage constructors check that the expected page is available and ready for requests from the test. I recommend xUnit Test Patterns: Refactoring Test Code by Gerard Meszaros – Almost 900 pages of patterns that can be used for automation and unit testing. Refactoring: Improving the Design of Existing Code by Martin Fowler and Kent Beck. Its developer centric but a very good read. Design Patterns: Elements of Reusable Object-Oriented Software – This is on my reading list but I have heard very good reviews about it. Here is how you can select values in a drop down box: The drop Down has an ID called “Domain” and values Yahoo, Virgin, AOL. 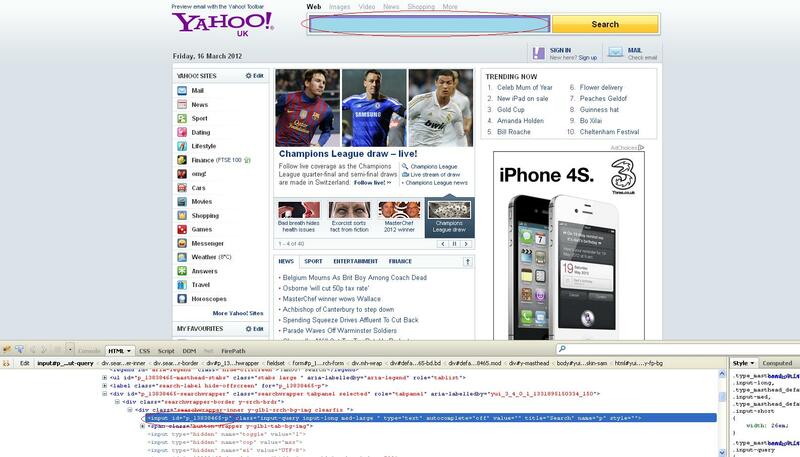 This will deselect all options, and then select the option withthe displayed text of “Yahoo”. You can find out whether this checkbox/radiobox is alrady selected by this command. WebDriver will wait until the page has fully loaded (that is, the “onload” event has ﬁred) before returningcontrol to your test or script. It’s worth noting that if your page uses a lot of AJAX on load then WebDriver may not know when it has completely loaded. If you need to ensure such pages are fullyloaded then you can use “waits”. More on this later. This is the most efficient and preferred way to locate an element. Find the input element with matching name attribute. WebDriver uses a browser’s native XPath capabilities wherever possible. 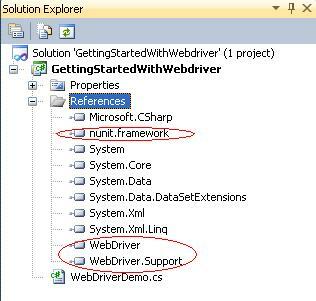 On browsers that don’t have native XPath support, webdriver provides its own implementation. This can lead to some unexpected behaviour unless you are aware of the differences in the various xpath engines. If you use the below code, it will only target the first element it finds, i.e Cheddar. You can also locate an element by its DOM tag name. You can find an element by matching its visible text. Say you have a link displayed with the following code. You can find an element by matching its partial visible text. When using all of the above commands to find elements, if no element can be found then a NoSuchElementException will be thrown. So you have found an element, what would you like to do with it? After finding the element using its link text or partial link text, you can click on it. You are now ready to write some code. Here is what we will be doing. On the results page we will Assert on the title of the page. And there you have it, your first test in Webdriver and CSharp. Do not expect everyone to understand testing! Never dream or wish to have absolute control over the release of a product.